Big Bang @ MTV Europe Music Awards. 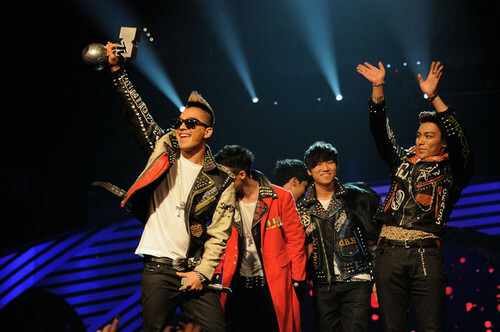 Big Bang @ MTV Europe Music Awards. Wallpaper and background images in the Kpop club tagged: kpop 2011 winners taeyang t.o.p daesung seungri g-dragon. This Kpop photo contains concert.